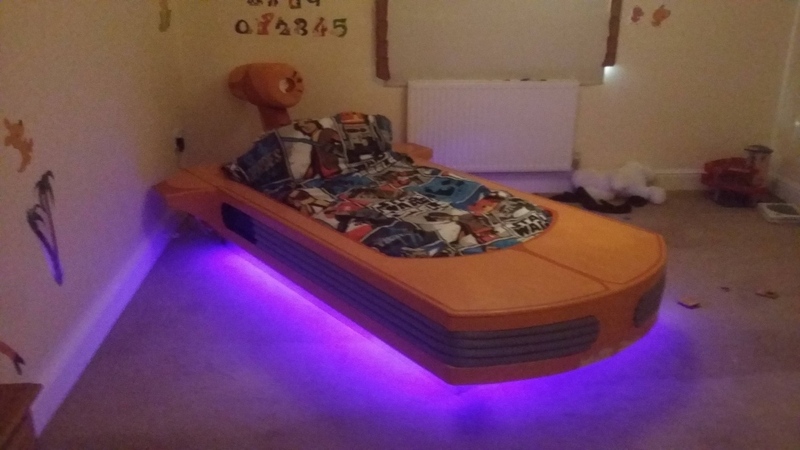 Redditor Ghostfaceace made this landspeeder bed for his son, because this is what an awesome dad does. Maybe he’ll adopt me some day, but I’m not holding my breath. Sure, I’m a little jealous, but I’ll get over it. This thing looks sweet! I bet he got a great deal for it at the Tatooine used landspeeder lot. Or maybe he got a great deal because some farm boy had to ditch it and leave the planet in a hurry. I never seem to find those deals. Now all this kid needs are some droid plush toys to hop on back and he’s all set. His dad probably comes in dressed as a Stormtrooper asking about the droids too, playing out the whole scene. This thing is just way too awesome.